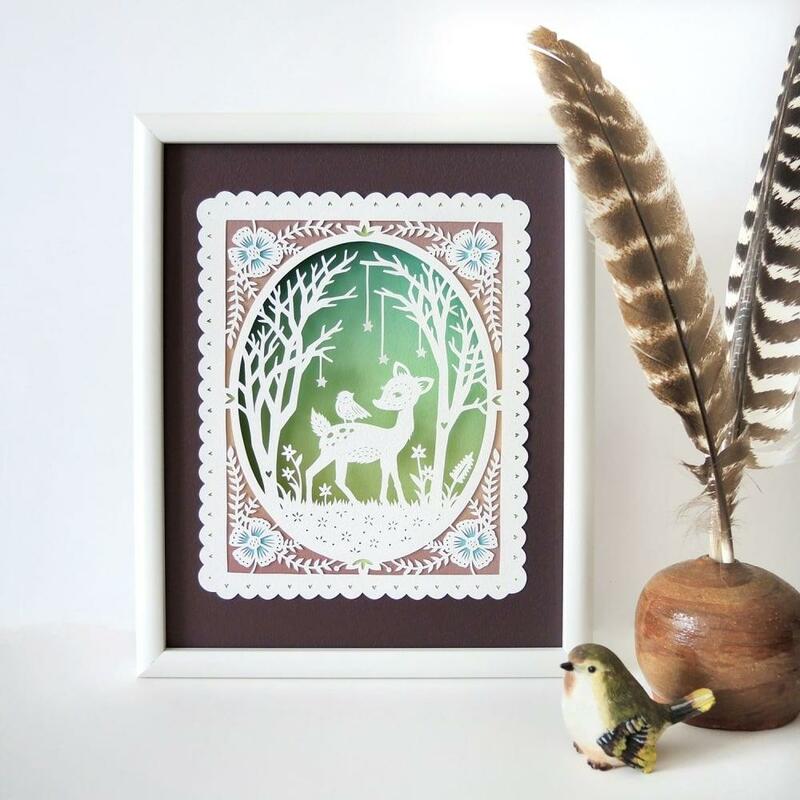 A pretty little frame template with some sweet little woodland friends. Hi! I’m Sarah Trumbauer, a papercutter living and working in Pennsylvania. I share my home with my partner Patrick and our cat Lucy. Growing up in a Pennsylvania Dutch family, I learned the tradition of scherenschnitte (German for "scissor cuts") early in life. I have fond memories of my mom and I sitting at the kitchen table cutting parchment paper farm motifs with tiny scissors. After concentrating in drawing and photography at the Corcoran College of Art + Design, I decided to experiment with new mediums for my illustration work and I returned to papercutting. I instantly fell back in love with this medium and found it opened so many creative doors for me. I’ve been papercutting full-time since 2012 and feel so blessed that I can spend my days making beautiful things to share with you. I find inspiration in nature, fairy tales, children's stories, botanical illustrations, and so much more. 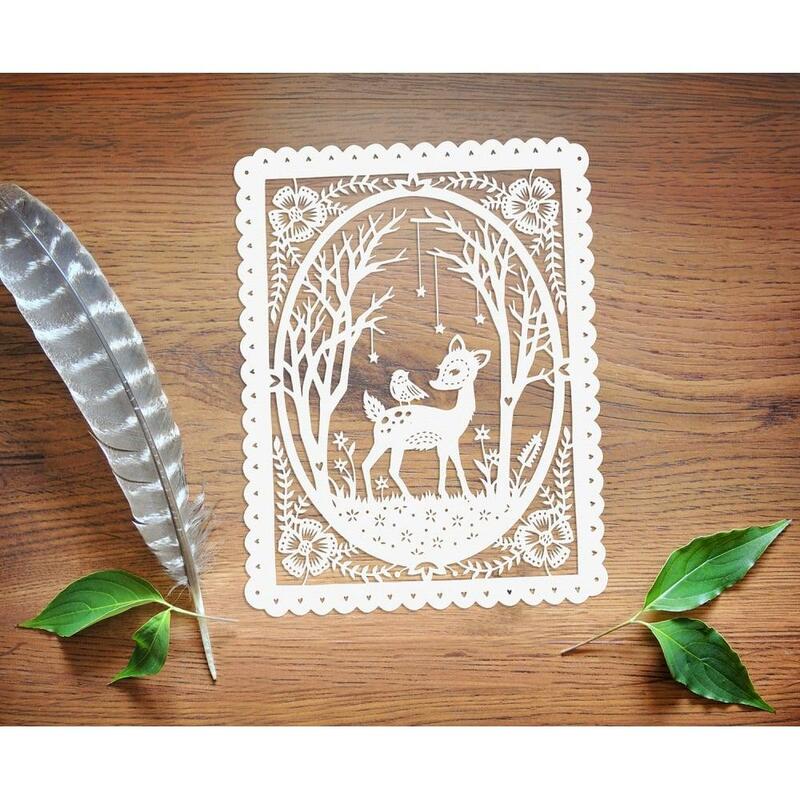 I am endlessly fascinated by the possibilities of paper and love watching it transform one tiny cut at a time.